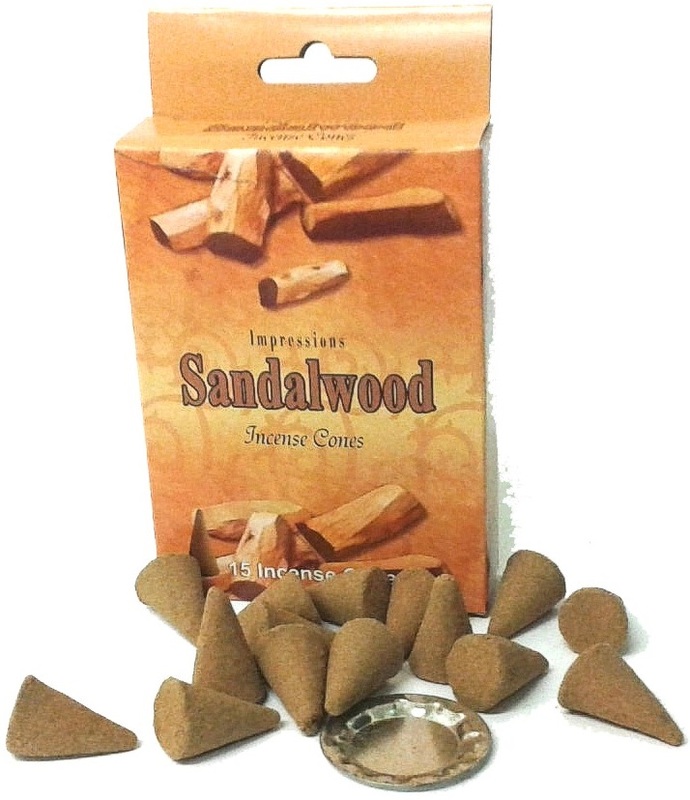 Sandalwood incense cones, made by the makers of impressions incense with a burn time of 20 minutes. These cones are made in India with natural resins and quality oils and fragrances to produce a well defined aroma. Hand rolled using traditional methods to make each Indian incense cone. The burn time of each sandalwood impressions incense cone is 20 minutes.